The United States Constitution is the highest law of the land in the United States. All other laws in the United states come from the Constitution. The Constitution explains how the government is supposed to work. The Constitution also creates the Presidency, Congress, and the Supreme Court. Every state in the United States also has their own constitution. The state constitutions are their highest law of the land for that state, but the Constitution of the United States is still higher. After the end of the American Revolution, the individual states were being governed under the Articles of Confederation. As time went on, it became very clear that the government was not good enough and changes had to be made to this system. A convention of delegates from every state except Rhode Island met in May of 1787 in Philadelphia, Pennsylvania. 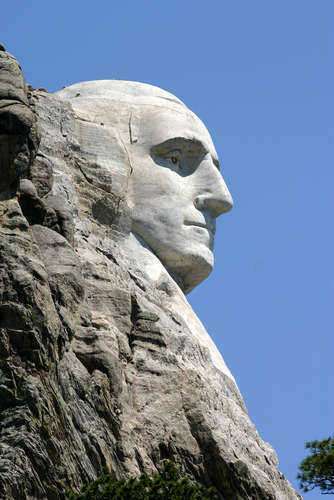 Here, George Washington was chosen to be the president of the convention. At the end of May, it was decided that the best way to fix the country’s problems was to stop governing under the Articles of Confederation and create a new constitution and new government. This was not easy to do. After three months and a lot of debating and compromising, the United States Constitution was finally accepted by the delegates on September 17, 1787. However, their work was not finished there. Even though the Constitution was written up, the Founding Fathers had to get the states to agree that the Constitution was a great document and that it should replace the Articles of Confederacy. In order to do that, the states needed to vote in favor of the Constitution. Nine states needed to vote for the United States Constitution in order for it to be accepted as the new governing document. 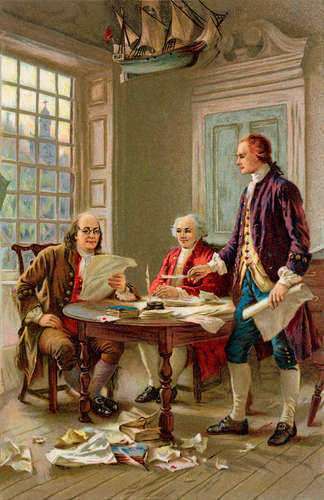 On December 3, 1787, Delaware became the first state to ratify the Constitution, or to vote in favor of it. The last of the nine to accept the Constitution was New Hampshire, who ratified the Constitution on June 21, 1788, which ended the government under the Articles of Confederation. While the Constitution had already become the governing document, the last four states eventually also ratified the Constitution. Rhode Island was the last state and it ratified the Constitution on May 29, 1790. 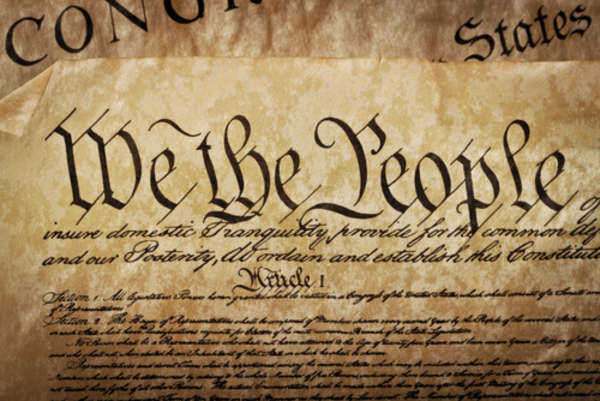 The United States Constitution has 4,543 words that talk about the plan or structure of the government for the United States as well as the rights of Americas. The Constitution is sometimes thought of as a “living document,” because it can be changed through amendments. Since the ratification of the Constitution, it has been amended 27 times. The Constitution is a very strong document, stronger than any state or any branch of the government. At the same time, the Constitution is flexible enough be changed in order to allow for freedom in America. •	Preamble: This is the first part of the constitution which talks about the purpose of the document and what roles the government has. •	Articles: The articles talk about how the government is formed and how the Constitution can change. There are seven articles in the Constitution. •	Amendments: Amendments are changes made to the United States Constitution. The first ten amendments are known as the Bill of Rights.